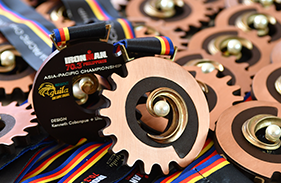 Alaska Fortified IRONKIDS are already winners just by joining | Sunrise Events, Inc.
Eorol Belonquil and Marielle Estreba, both from Cebu, won the boys and girls categories for 13 to 14 years old in the Alaska Fortified IRONKIDS Philippines held at the Azuela Cove in Davao on March 23, 2019. 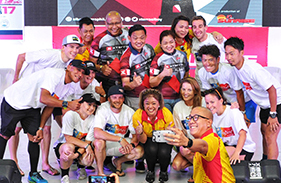 The pair, others who won their categories, as well all children who joined are already winners in more ways than just emerging victorious in the race. 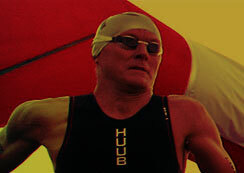 The multi-discipline race taught them important lessons especially patience and the value of perseverance. 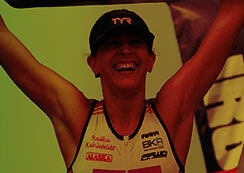 “I like triathlon because it taught me three disciplines. 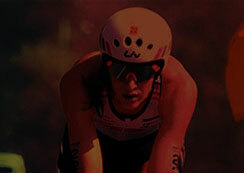 Swim, bike, run. It taught me to work hard. I learned the importance of preparation not just in training but also in school. It increased my endurance so that I could do multiple tasks without tiring. This also helped me in my school work,” said Belonquil. 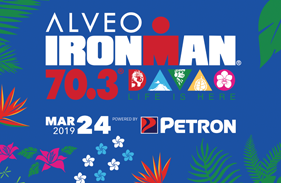 IRONKIDS, which is staged in the Philippines by Sunrise Events, is so much more than just a race and a healthy physical activity with excitement and fun. It also helps children develop good habits such as discipline and hard work as they try to become better athletes. Alaska Milk Asst. Brand Manager Diane Guerta said they are encouraged by how children like Belonquil and Estreba benefit from the race. 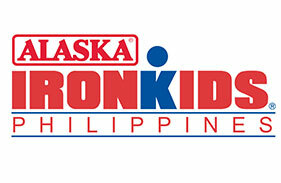 “It’s good that they get to remember values that Alaska Milk teaches through IRONKIDS. This is a partnership. 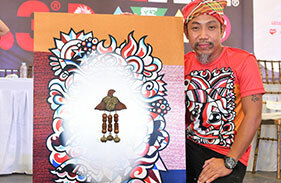 We want children to learn good values such as determination, hard work and discipline,” said Guerta. For her part Estreba said the most important lessons she learned are discipline and time management. 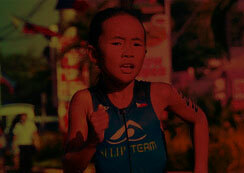 “IRONKIDS is my first triathlon race. 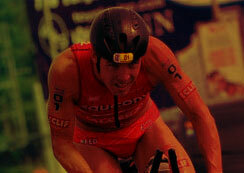 Joining IRONKIDS taught me discipline. It taught me how to use my time very well. It’s three sports in one. Unlike swimming where you just swim. 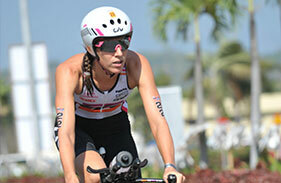 In triathlon you have to discipline yourself in practice to maximize time,” said Estreba. These children are good examples of young athletes who were brought up by Alaska IRONKIDS. They are shaping up to be not just really good athletes but also better persons according to Guerta. 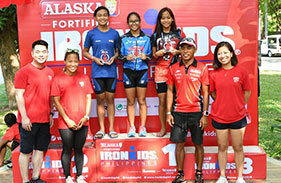 All the children in Alaska Fortified IRONKIDS Philippines, who took the lessons to heart, are already winners. 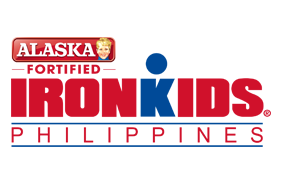 There is more to Alaska Fortified IRONKIDS Philippines than meets the eye. Most can only see the children swimming, biking and running in the sun as they compete. But there are other benefits that cannot be seen. Alaska Fortified IRONKIDS teaches children the importance of physical activity and exercise and encourages them to go out and play in the sun. It teaches them the importance of proper nutrition and drinking milk. They learn important values like discipline and hard work which help them not just in sports but also in school and everyday life. In this way Alaska Milk and Sunrise Events help in nation-building. 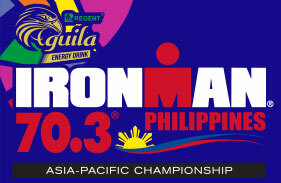 For more information visit the website www.ironkidsphil.com, Facebook /ironkidsphil, Instagram @ironkidsPhilippines or Twitter @ironkidsPhil. Learn more about Alaska Sports at www.alaskamilk.com/alaska-sports/. 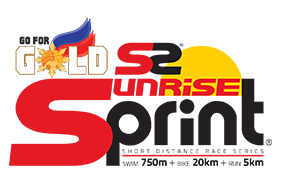 Visit as well the Sunrise Events Inc. Website (https//v2.sunriseevents.com.ph), Facebook, Instagram and Twitter Accounts.